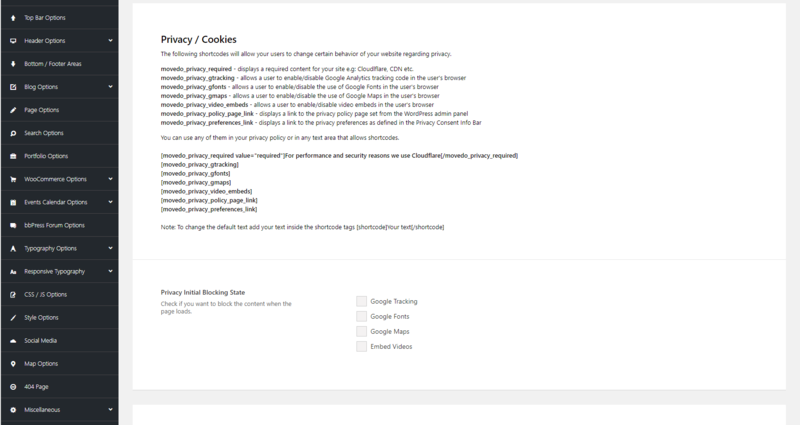 movedo_privacy_required – displays a required content for your site e.g: Cloudlflare, CDN etc. Websites owners and administrators are responsible for ensuring their own compliance with GDPR and any other law and regulation. We (Greatives) do not provide legal advice and do not warrant that our framework’s features will ensure that clients are in compliance with GDPR and/or any other law or regulation.